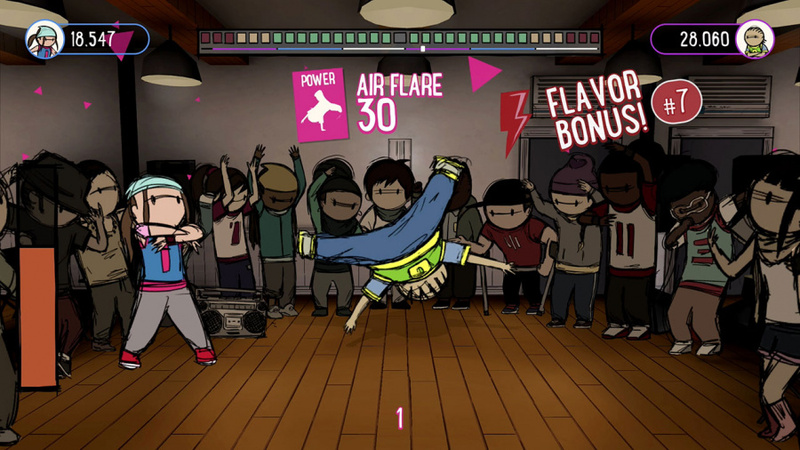 "It's all part of this scene that continues to inspire us"
Rhythm action game Floor Kids floored us in December of last year with its trendy hand-drawn art style, expressive freedom and incredible soundtrack. You check out our review right here. 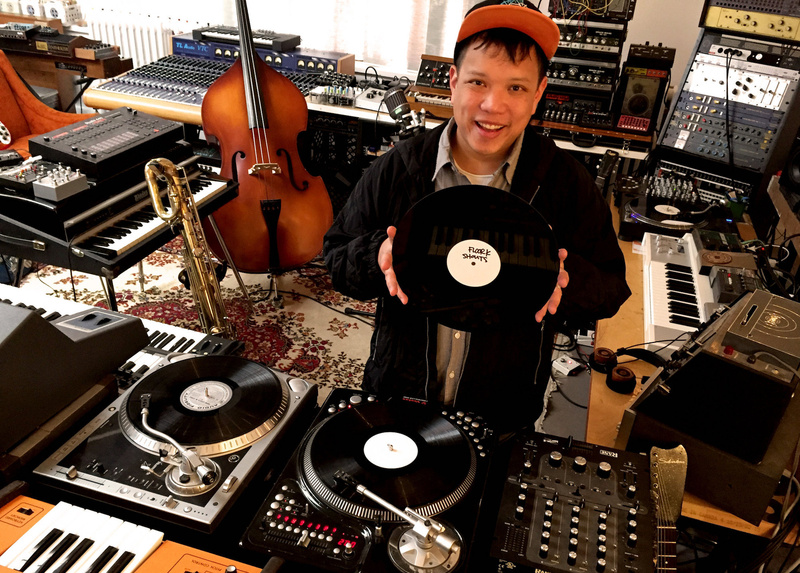 With its amazing soundtrack set for release on 27th April on vinyl, DJ and musical maestro Kid Koala took some time out from his extensive tour to talk to us about the creative process behind his foray into video games and collaboration with animator JonJon. Nintendo Life: The game has been out on Nintendo Switch for just over four months. From your experience, how has the reception been from critics and gamers? Kid Koala: Amazing! Four months?! Oh woah! We were just at PAX and watching all the people at the booth playing smiling, laughing and rocking to the game. 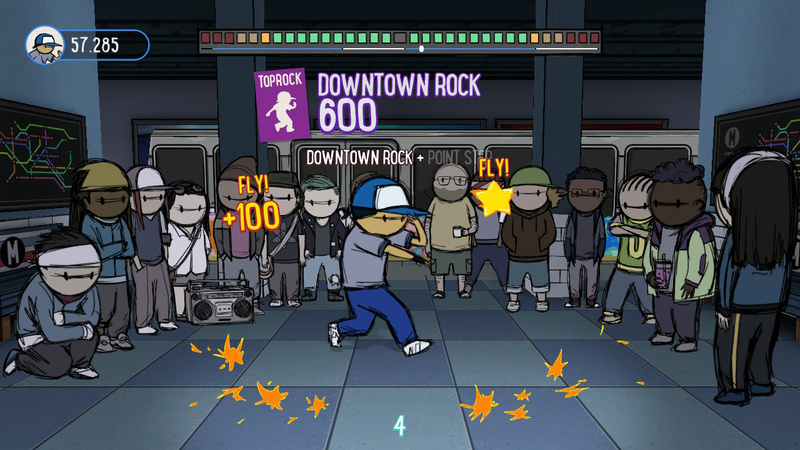 People seem to be having a great time exploring the city and battling with JonJon's animated break dancers. We put in some hidden moves into the game that the more seasoned players were meant to eventually discover. But for the benefit of your readers, here's a PRO TIP: We put in a function we call a 'Strobe' power move! It's one of my favorite things in the game. To do it, spin the left stick continuously to activate a power move... then start spinning faster to accelerate the spin, when it's at max speed start clicking the left stick like a button. It's cra-a-a-a-z-y. Time distorts, the frame rate slows, and you can better catch some of the rad art JonJon created for the different moves in the game! When was the decision made to release the soundtrack on vinyl? A few months ago! We've had a lot of people reach out and ask for it to be released. We were going to do the tour to celebrate the launch of the game. I thought it would be a good thing to have for the tour. And since it's an album of battle tracks and beats, it definitely made sense to put out on vinyl for the DJs Vinyl is still the ultimate interface for scratching and hand looping things. At a break battle, you gotta keep that beat moving and stay in the pocket while you're backspinning the records. It's a lot of fun. Kind of like surfing. The goal is to stay in the groove so you don't wipe out and mess up the dancers. There's an urgency to it, and that's what makes it fun. Yes, you can simply put the record on and listen to it, but I wanted to make sure that album could also be a good tool for you if you ever had to deejay at a break practice or event!. Was there any stage in the process where you had to conceptualize music without visual prompts? No, I was working on tracks that would fit the vibe and aesthetics of the venues in JonJon's concept art. How did you approach and assign each track within the game - for example, geographically (indoor/ underground areas) or transitioning screens? We wanted the music in the game to travel through the different eras of break battle music. From '70s funk grooves and '80s electro to '90s 12-bit sampler tracks and beyond with the modular synth beats. Depending on the venue, I would just try to use era specific recording techniques. In The Arcade venue, which was more of an '80s vibe, I used a lot of Commodore SID chip synths and based EPROM drum machines. For The Studio and The Corner venues, which was more of a '70s vibe, I played drums, upright bass, guitars, saxophone and keyboards. I would record them with ribbon microphones and cut them to vinyl on my record cutter. Then I would scratch things back together on turntables. It added a few extra steps to the recording process but I wanted to get that dust and crunch in there! For the Peace Summit, I would break out all the newest modular synth gadgets to make some future funk stuff that would feel like a final boss battle! The 'breaks' in the songs (where the player has to tap a button in time to the beat) - how were they integrated into the songs? We wanted the rounds to have the feel and energy of an actual break battle. DJing at break practices and events over the years, I noticed there was a certain amount of time that dancers would stay in the cypher. The moment they finished their final move was the ideal time to bring in a switch in the music. At that point either another dancer would jump in, or it could be more of a 'chorus' section where everyone would hit shots together like a band, or the whole crew would jump in and start Brooklyn Rocking. Within each round we wanted two sections that allowed the player/dancer to freestyle their own routines, linking moves or stringing combos on the spot to rack up points. We would split these freestyle sections with the 'chorus break' that operated like a mini-rhythm target game. During those moments JonJon always says you get a chance to play the DJ or producer. The target patterns that the player is trying to his is the same pattern I had to knock out in real time on the drum machine or sampler when I was recording. Did you come up with more than in the final game? Yes there were some tracks that are not yet in the game. A couple of them were put on the album as a bonus. We've always had plans to expand the Floor Kids universe both visually and musically. I have a lot of fun making the battle tracks, I've already started making a few more which will feature some guest MCs. Since I knew it was going to be cut on vinyl, I picked the 42 tracks that I thought would be rad to backspin and hand loop at a break battle or party. Other than that, we wanted it to feel like playing through the game, exploring the city, and hearing different battle tracks from the different venues, as well as hearing the music and narration from the story moments. JonJon's art style had existed in other forms of media - after the games release, was a soundtrack with album artwork the next logical step? Yeah! It all aligns with the break scene from which all of this is coming from. The art, the beats, the vinyl format, it's all part of this scene that changed our lives as kids and continues to inspire us. I made a three-turntable megamix of the soundtrack, just to give people a taste of what some of the tracks were like, and also to demonstrate how you could hand cut it together on vinyl if you wanted to. I've deejayed a couple break practices with it already and the tracks work! How was the album art decided? Corinne Merrell, JonJon and I worked together to create the album package. We wanted it to reflect the world that JonJon had drawn in the game. So the gatefold cover opens to reveal a map of the city as well as several of the mini record covers that Corinne had designed for each track. We also, wanted to put in the text/dialogue from the cutscenes, so people could read it and kind of get some of the expression and dance philosophy that's in the game. The inner sleeves feature the comic book artwork from the cutscenes as well! Considering the nature of the public increasingly consuming media digitally, how important was it to you as a DJ to produce a soundtrack album as a package/ tangible product? I still use vinyl. For me, nothing beats being in the mix and backspinning two records. Also, JonJon had created SO MUCH amazing art for the game, we wanted that to be represented also in the gatefold album artwork. If people have the album in hand, they can really take a break and lose themselves in this hand-drawn world he created! There has been a recent trend of more and more video game soundtracks (of all genres) becoming available on vinyl. Are you aware of this? Yes, I saw a lot of game soundtrack vinyl at PAX. Also, I'm friends with the I Am 8-bit crew from way back. Vinyl is a very tactile way to interact with your music. When I was in high school, I would save up my paper route money and could buy maybe one or two records a week. It was always exciting to get the record home, place it on the turntable, read all the liner notes and get lost in that universe for a while. There was a very fun little ceremony around listening to a new record! It required a bit of intention and attention.I love being able to look at the artwork or read the liner notes while listening. It gave the experience extra dimensions. Video game soundtracks have become more and more integral to the overall experience, especially with the popularity of chiptune/retro. What did you play growing up and has it influenced your music? I played Castlevania a lot as a kid! My head is full of earworms from Terashima's and Yamashita's work on that score. I spent so much time on that game, that music is probably now part of my DNA somehow! There's a multimedia/'collective' experience, such as the game or a live show, but there are also people that listen to the music without the visuals or gameplay. When I was making the music, it was in a video game context. It had to help the energy in the game and set up a context in the menu tracks. But that doesn't mean it could be used or listened to in other contexts. They could also be a good collection of tracks if you need some motivational music to tidy up your house. I sent a copy of the record to a friend who is a line cook in a restaurant. He said it was a great record for the restaurant kitchen, because it keeps you moving and some of the tracks are just long enough chop up a pile of vegetables or sautée an egg! How difficult is it as a musician collaborating on a game to get the mediums to complement each other as well as exist separately? It was a new experience working with the coders and talking about how the music would operate in the game. When I was creating the foley and sound design for all the game noises, I needed to make sure that they could cut through the mix and still work with the music knowing that the player was completely free to do whichever moves they wanted in any order. At the end of the day, since it was a break battle game, I had to make sure the beats had that right knock to them! Do you play any music games? Which ones are you a fan of and why? We have Bust-A-Groove at the house complete with the Dance Mat controllers. My kids are way better at it than I am. But I was never much of a dancer anyway, that's probably why I gravitated towards being behind the turntables rather than jumping into the cypher! What's next for Kid Koala, JonJon and Floor Kids? An 18-city Vinyl Vaudeville Floor Kids Edition tour! It's going to be a great party! I'm bringing a tour bus full of amazing performers and sets! With dancers, puppeteers and turntables, of course! We are bringing custom Floor Kids arcade consoles so people can battle each other on the game before the show starts. We've just added a new update to the Switch version of the game called 'Infinity Mode'. It's a mode where people can practice their moves, tricks and combos before taking them to battle in one of the venues. In the coming months, we will be porting the game to other platforms like Steam, PS4 and Xbox. I am working on some more music for future updates/features to the Switch version of the game. JonJon is currently animating a bonus character for the game who has 16 new moves people can learn! Stay Tuned! We would like to thank Kid Koala for his time. 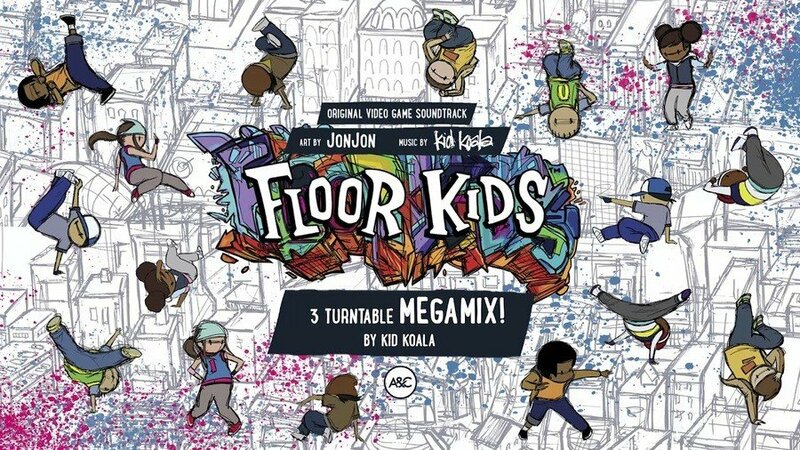 The vinyl soundtrack of Floor kid is out April 27th. I'm not much for rhythm games but I did get this one and really enjoyed the music more than anything. Edit: Thanks for the interview, well done. Sad to hear it's not going to be switch exclusive anymore - oh well. @Aurumonado It is a great game made with passion. The more people can play it the better. My vinyl set actually just arrived today! Can’t wait to give it a spin! I'm at half a mind to double dip on Steam just to get the soundtrack on my PC as well. I definitely have to try the Infinite mode and I could probably use it to teach people how to play before tackling them in multi. Also my younger brother recently repaired his gramophone and liked the game... Maybe I could get that vinyl. @SmaggTheSmug If your younger brother is using a "gramophone" I can't begin to imagine how old you are. I want to play Floor Kids, but I'm hoping for a sale at some point. Or a demo to sell me on it. @kepsux I guess the term is "turntable"? I thought that was for the ones DJs use, with all the knobs and levers to mix the sound live. English is not my first language. It's not one of those with a giant tube. It is a pretty old thing though, much older than either of us. He's been hoarding old tech lately. @SmaggTheSmug Haha, sorry, didn't realize English wasn't your first language. "Record player" is probably the most common word, a gramophone makes me think of one of those devices from the early 1900's with the giant horn shaped speaker coming out of the top. 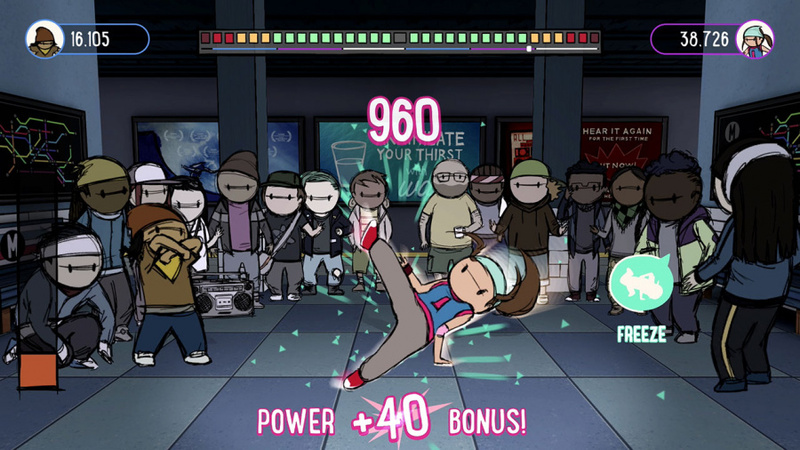 Having scripted things (fixed stage length, “tap the target”, restrictive score criteria) in a game about breakdancing is controversial. It had room for so much gameplay variety... boss battles, more multiplayer modes, playlists, character customization, unlockable songs, achievements. It’s an ultimately underwhelming experience as a game, considering how good the art style and music are. Really good game. And this is one of the best interviews I read here.